Next week I’m headed to PAX Prime for the first time and I’m already contemplating what video game inspired outfits I should wear. This week’s outfit is heavily inspired by the character Chell from the game Portal. Featuring both licensed and handmade items, it’s the perfect outfit for a convention or a warm summer day! 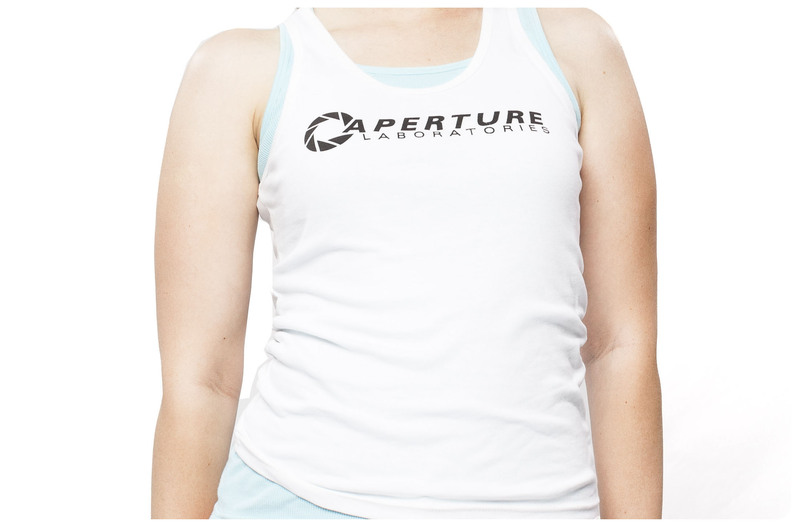 The Aperture Science tank is the same tank Chell wears in the game. I love the fact that I can use it in a costume, or just wear it as an everyday clothing item. I picked up the tank from Thinkgeek. 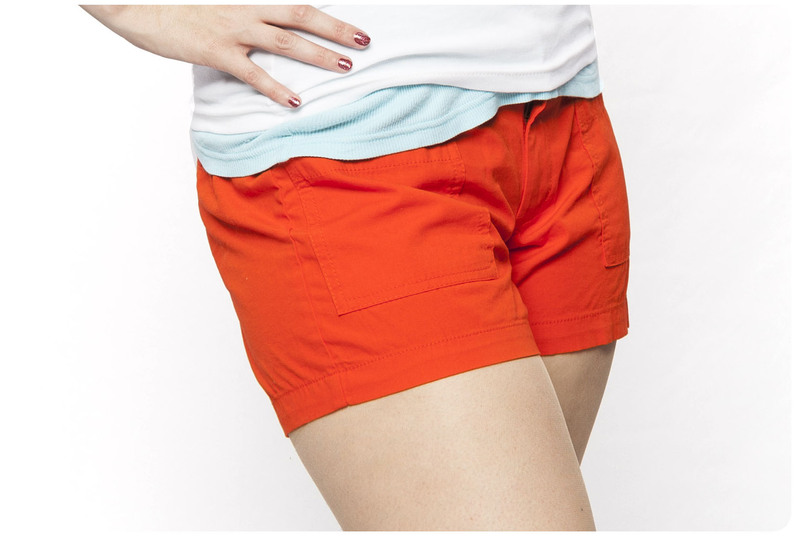 The Valve store also carries it as well as other Portal related clothing. I layered the tank over a light blue tank to mimic what Chell wears in game. I already had the tank on hand, but you can pick up great solid color layering tanks at Old Navy. For an alternate look, you could rock this outfit in a pair of orange skinny jeans. I wanted to wear something that kind of felt futuristic and reminiscent of the Long Fall Boots Chell wears. Luckily, Scruffy had a great pair that I felt fit the bill for this photo shoot. These wedge heels would be even more perfect given how closely they resemble the boot. Although you don’t always have to consider shoes as your only option. These Portal 2 socks would make a great addition to the outfit. These earrings were actually the first thing that inspired me to create this outfit. I love how understated they are while still being very geeky. If you want something a bit more straight forward, these earrings from J!nx are perfect. One accessory that I would love to add to this outfit is a Companion Cube necklace. I’m currently liking either this one or this one. I’m hoping I get to sport this at PAX next week, although I may need to swap out the shorts for something warmer depending on Seattle’s weather. Are any of you planning on going to PAX Prime? I hope I can catch some geek chic attire while I’m there and hopefully meet some great geeky gals!